With roots going back to the year 2000, ESOFT has grown to be the largest private sector higher education network in Sri Lanka due to an extensive island-wide network of 40 branches which create opportunities for over 30,000 students each year. Initially starting with Computing, ESOFT today is a diversified education provider in the fields of ICT & Computing, Business Management, Hospitality Management, Engineering, Personal & Professional Development, Language Training and Corporate Training. ESOFT is the number one course provider in Sri Lanka for the BIT External Degree programme awarded by the University of Colombo School of Computing (UCSC) and has consistently produced some of the best BIT graduates in the country. ESOFT is also partnered with Pearson, the UK’s largest awarding body, and has earned special recognition for developing portfolio and student numbers to the level of Pearson Gold Partner. Accredited by the British Computer Society (BCS: The Chartered Institute for IT), ESOFT is recognised as the world’s largest training provider of BCS Higher Education Qualifications (HEQ) and has produced an outstanding 50 plus World and Sri Lankan prize-winners to date. As the strategic partner of London Metropolitan University (UK) ESOFT offers local students the opportunity to pursue several UK undergraduate and postgraduate qualifications right here in Sri Lanka. ESOFT also offers several cutting-edge MSc programmes via their affiliation with Kingston University (UK), which is ranked among the top 500 Universities in the World. ESOFT’s panel of experienced and accomplished lecturers ensure that students are moulded into well-rounded, globally employable citizens by equipping them with not only the requisite academic knowledge, but also the critical personal and professional skills they need to succeed in a complex and constantly changing world. ESOFT centres are equipped with a range of modern facilities including air-conditioned classrooms, state-of-the-art computer labs and comprehensive library services. 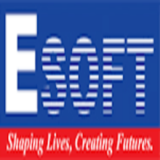 ESOFT has been awarded the ISO 9001-2008 International Certification for its high quality education.